Creating a thick, icy smoothie is super simple, just combine equal parts milk kefir with frozen fruit and you will have a thick, spoon-able, icy smoothie that everyone will love. Choose whatever frozen fruit fits your mood and in just the time it takes to blend everything together, you can be enjoying a delicious chilly treat. 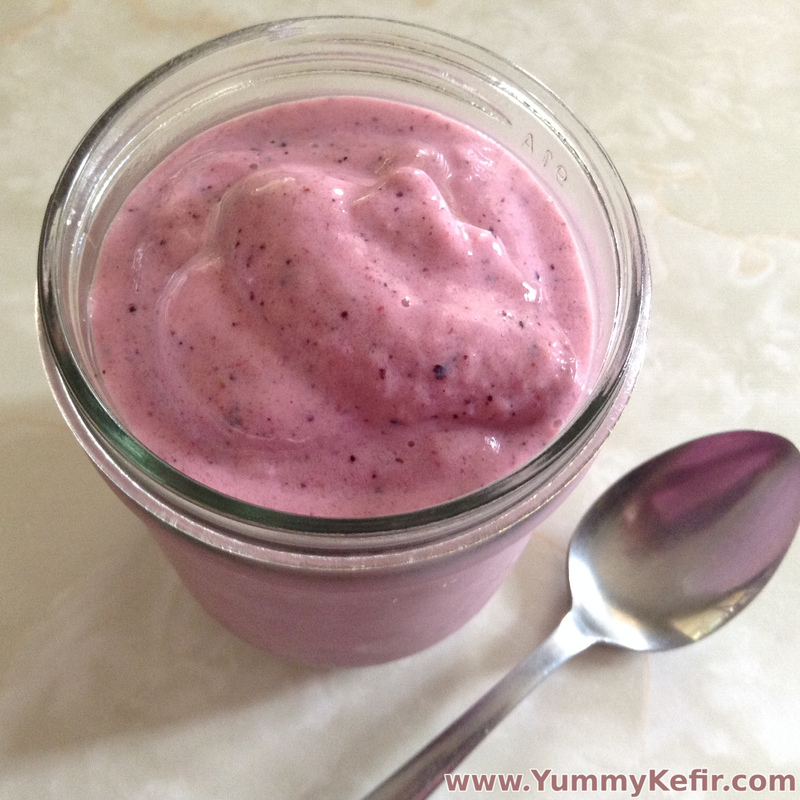 Place milk kefir and fruit in a blender and blend until smooth. Add the banana to make the smoothie sweeter if needed.